Looking at the Teclast F7 Plus Ultrabook up close changes your perception of budget notebook computers in the sub-$300 range. The F7 Plus bears a striking resemblance to the MacBook Air in its appearance and design, but that’s no longer surprising. 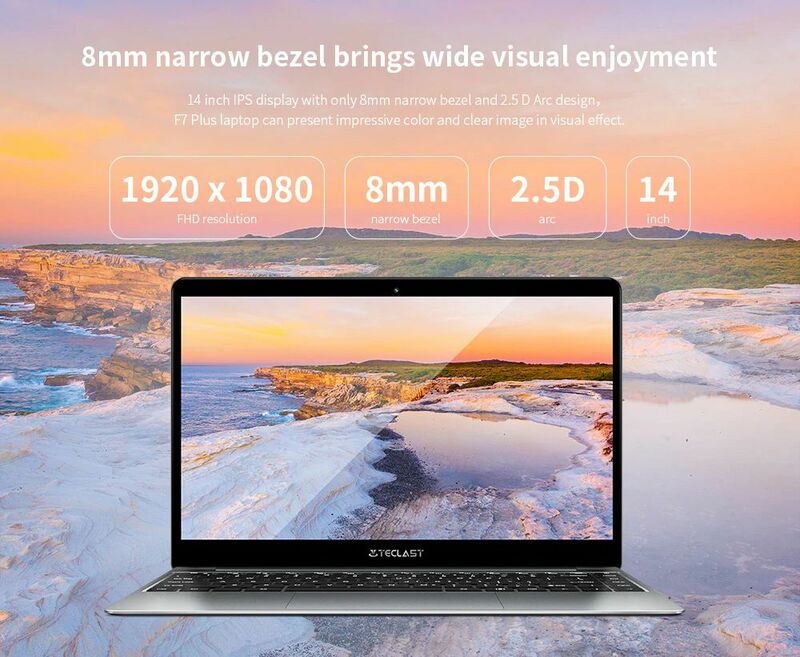 What’s makes the Teclast F7 Plus Ultrabook impressive is that this budget offering is an improvement on the MacBook Air in terms of detail and material polishing. The notebook computer comes with an all-metal fuselage design. The grinding process used to treat the fuselage lends the surface a sophisticated, delicate feel. This combined with a micro-arc design, polishing around the edges and CNC trimming enhance the look and feel of this laptop. The Teclast F7 Plus Ultrabook sports a 14-inch full HD IPS screen. 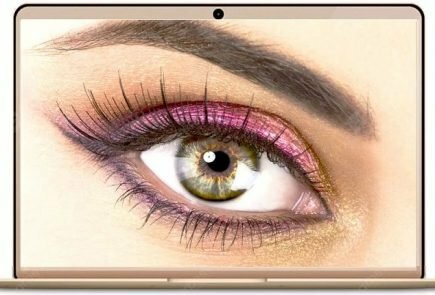 The combination of IPS material with Full HD capabilities in a budget device is impressive as such features are normally limited to high-end laptops. This obviously results in enhances display effect. It has an N4100 processor and HD 600 graphics card under the hood, supported by 8 GB RAM and 128GB hard disk. 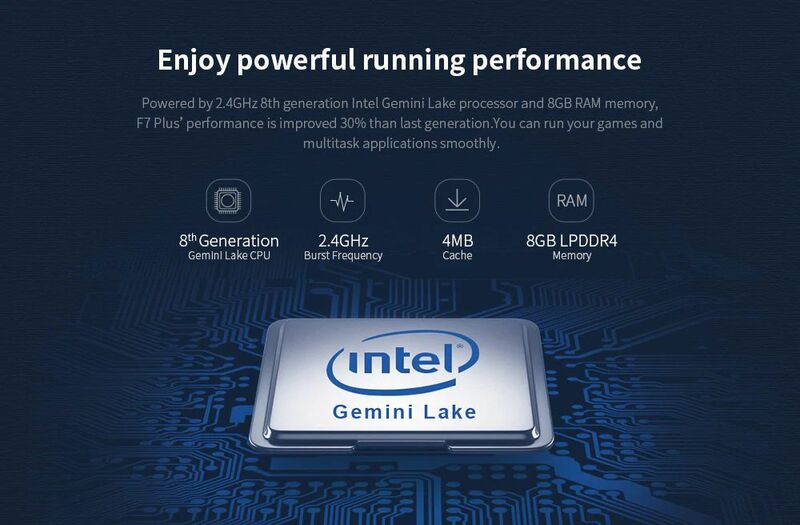 The N4100 processor, also known as Apollo Lake-M, comprises a 45cb single-core and 161cb and is built to handle everyday usages like internet surfing and office operations. The processor maintains an average frequency of 1.98 GHz and delivers a stable, noise-free performance. The keyboard of the Teclast F7 Plus Ultrabook comes across as ordinary as you’d expect it to be in a $300 notebook computer. The keys have good travel but it is the backlight support that truly stands out here. The touchpad here comes with a glass-like baffle that makes it highly sensitive and unexpectedly easy to use. On the connectivity front, the Teclast F7 Plus Ultrabook comes with mini-HDMI, USB3.0, 3.5mm headset, adapter interface and TF card support. In terms of technical specifications, the Teclast F7 is an impressive entry-level device built along the lines of standard model followed by Asian manufacturers, only better. 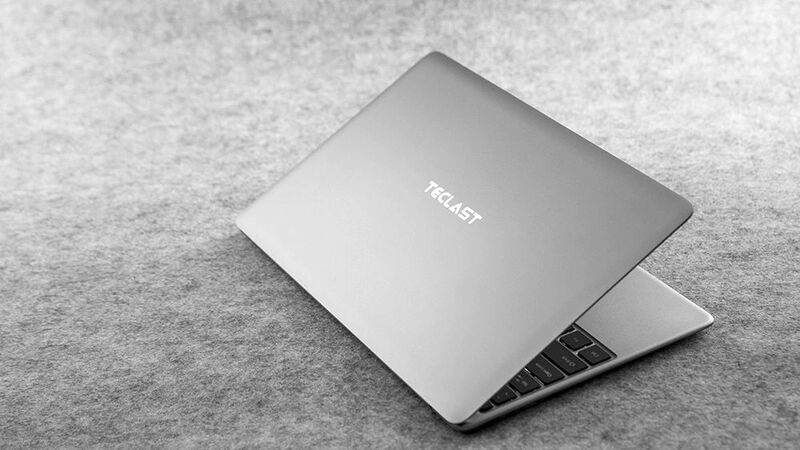 The Teclast F7 Plus Ultrabook is fired up by Intel Celeron N4100 Quad Core and Intel HD Graphics 600 GPU, along with 8GB DDR3 RAM and 128GB SSD Storage Capacity. It sports a 14-inch full HD IPS screen with 1920×1080 IPS resolution and a 16:9 display ratio. The Teclast F7 Plus Ultrabook also comes with a 2 MP front camera for video calls. On the connectivity front, the F7 Plus comes loaded with HDMI output, WiFi support, Bluetooth 4.0, LAN card, two USB 3.0 ports, microSD card, mini HDMI and 3.5 mm microphone/headset jack. With a 6,500 mAh Li-ion battery, the battery runtime of the Teclast F7 Plus is a marked improvement on the battery power of its preceding model, the Teclast F7. You can expect this newest F series offering to go on for longer durations without being plugged in. One of the most striking elements of the Teclast F7 Plus Ultrabook design is its all-metal body. The use of all-metal fuselage refined with diamond cutting process lends a definitive premium feel to the design and appearance of this Teclast offering. On the inner side of this slick, shiny metal body you find plastic on the keyboard and around the display. However, given the $300 price range, this neither comes as a surprise nor dulls the overall appeal of this notebook. The laptop closes shut smoothly and steadily, and the sturdy hinges along the display make a good impression. The display screen of the Teclast F7 Plus Ultrabook comes with a glass shield that not only protects the display from sunlight glare but also improves contrast. The frame running around the screen, however, is a tad too thick by present-day standards and dulls the modern edgy look of this device. The frame runs 8 mm thick on the sides and goes as wide as 2-3 cm on the top and bottom. Even at this budget price point, Teclast could have done better on that account. The dimensions of the Teclast F7 Plus Ultrabook are noteworthy. Measuring 331x220x14.9 mm and weighs just 1.5 kg, it is a sleek, compact device. On the right side of the Teclast F7 Plus Ultrabook, you have the microSD slot, 3.5 mm audio jack and a USB 3.0 port while the power adapter, mini HDMI port and the second USB 3.0 port are placed on the right. 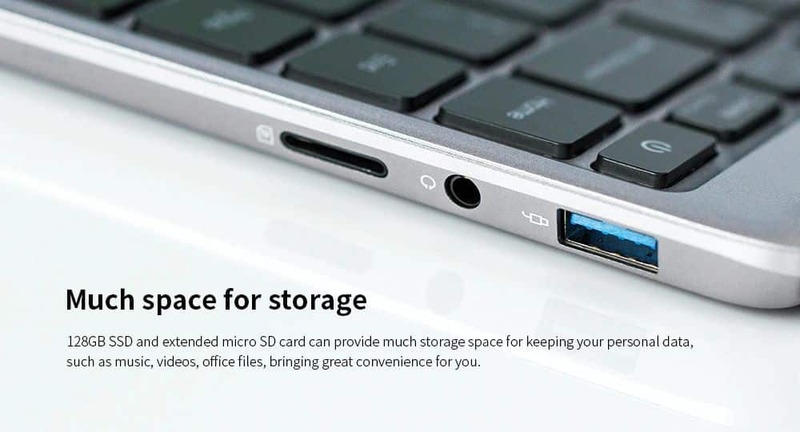 The lower part of the Teclast F7 Plus Ultrabook case holds the M.2 hard drive space that can be accessed easily by opening the screws, which comes in handy if you want to expand the internal memory of the device. The backlit keyboard of the Teclast F7 Plus Ultrabook is quite an impressive addition and facilitates night-time. The backlit feature also extends to the Teclast logo placed on the back panel, which is just an ornamental addition but a pleasant one. The Teclast F7 Plus Ultrabook sports a 14-inch screen with a 1920×1080 pixel resolution, 16:9 display ratio and IPS matrix technology. The use of IPS panel in the F7 Plus is a marked improvement on the TN screens being used by other competing devices in the same price category. The use of Full HD screen and IPS panel certainly contribute to the image quality of the Teclast F7 Plus Ultrabook. The display is fairly balanced and the screen brightness and contrast are just right to facilitate comfortable usage both indoors and outdoors. In addition, the viewing angles are normal and the color reproduction corresponds well with real colors. The Teclast F7 Plus Ultrabook display is out and out impressive, and a marked improvement not just on the Teclast F7 but also other competing devices such as Chuwi LapBook SE and Jumper EzBook X4. 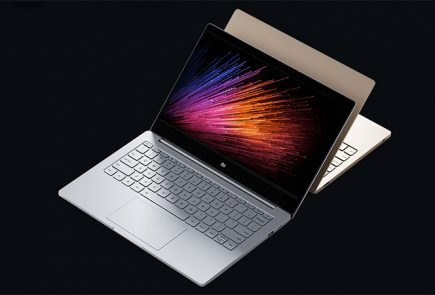 The Teclast F7 Plus Ultrabook runs the Intel Gemini Lake N4100 processor equipped with quad cores, capable of clocking a top frequency of 2.4 GHz, Intel HD 600 graphics card and Windows 10 Home operating system, supported by 8GB RAM and 128GB SSD internal memory. 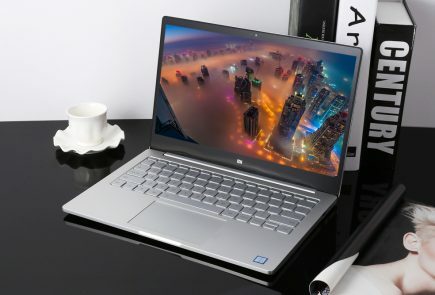 These specifications are pretty routine for entry-level laptops, so while the Teclast F7 Plus Ultrabook does a good job handling everyday computer operations like internet surfing and Office operations, it is not designed to support heavy gaming or programming work. As long as your computer usage is limited to working on documents, watching movies, videos in 4K resolution and surfing the web, the Teclast F7 Plus Ultrabook will do just fine. In addition, the F7 Plus offers above-average support for simple games from the Microsoft Store or even formats like Asphalt 9 but that is as far as its gaming capabilities go. That’s expected from a machine in the $300 category. But one of the things the Teclast F7 Plus Ultrabook stands out for given its price point is the internal storage capacity. A 128 GB SSD memory is pretty robust for an entry-level device like this one and it far outdoes other competing devices from strong competitors like Chuwi. The SSD memory is also a good addition considering the faster memory transfer rate in comparison to eMMC storage used in most entry-level laptops. In the rare event that the 128 GB internal storage does not suffice, you have the option of expanding either by adding another memory card to a designated M.2 hard drive slot in its lower case or simply attaching a hard drive using one of the USB 3.0 ports. Another stand out feature of the Teclast F7 Plus Ultrabook is its keyboard. For a budget notebook, Teclast delivers an impressive keyboard and touchpad mix in the F7 Plus with good travel and responsiveness. The keys have a pleasant touch and just the right amount of resistance that’s neither too weak nor too strong. 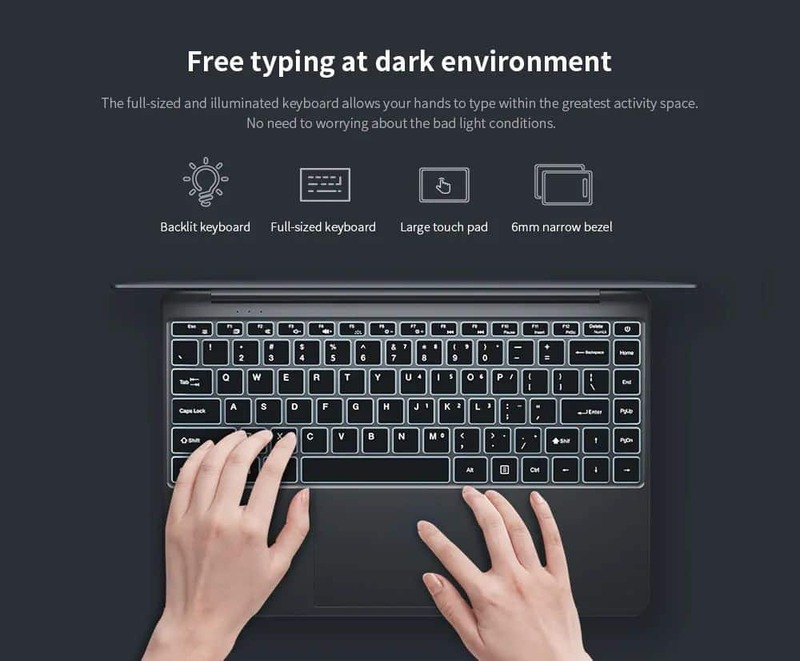 The backlight feature clearly is the highlight of the keyboard here. It not only adds a premium appeal to this budget device but also enhances its usability by facilitating usage in complete darkness. The touchpad here is decently sized and comfortable to use. It is highly responsive and supports with multi-touch controls as well as Windows 10 special gestures. All in all, a perfect piece of work with no shortcomings to complain about. The sound quality of a laptop may not be a deciding factor in your purchase but it certainly plays an important role in your day-to-day handling of the device, which is why we decided to include the Teclast F7 Plus Ultrabook sound quality in our review. The F7 Plus comes with four internal speakers that placed internally between the keyboard and the screen. The sound is loud enough but the quality is downright hard. If you care for the quality of sound while playing music or watching movies, it may be a good idea to keep a set headphone or additional speakers handy. The Teclast F7 Plus Ultrabook comes with a 2 MP front camera for video calls. The webcam uses a combination of a good microphone and decent video qualities for all those Skype calls, and you don’t really need an additional headset for this. As far as the webcam is concerned, you get more than you pay for in the Teclast F7 Plus. Teclast uses a more than decent 6,500 mAh Li-ion battery in the F7 Plus – an improvement on the F7, which grappled with serious battery performance issues. Even though it may be argued that some new gen smartphones have bigger batteries than the F7 Plus, the notebook does offer a decent runtime of up to seven hours with average use. With the screen brightness set at 60 percent, the Teclast F7 Plus Ultrabook can go on for seven hours of uninterrupted use on a single full charge with a mix of internet usage, Office work and playing YouTube videos. 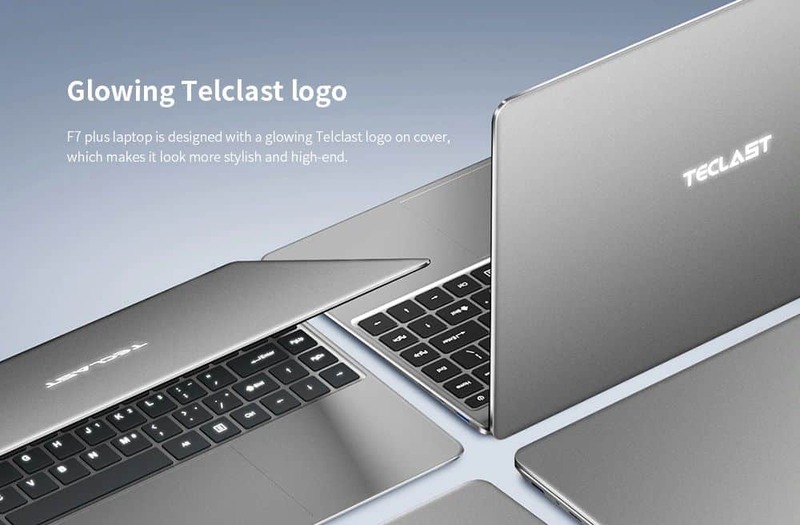 The Teclast F7 Plus Ultrabook not only resembles the MacBook Air in its design but is also bears striking similarities to the Chuwi Lapbook SE. However, Teclast takes the classic outline of metal chassis, reduced frames, large screen, and full-sized keyboard and delivers it better. At $300, the F7 Plus stands out as a notebook with a distinct identity. The all-metal fuselage, 14-inch full HD IPS screen, Windows 10 Home, impressive operational ability and endurance make it a device worth keeping on your radar. The workmanship that takes a standard design and delivers it with an elegant, premium touch combined with the use of high-end full HD 1080p screen are the clear highlights of this device. The Windows 10 operating system with multilingual compatibility offers the necessary operational support here. It is a well-suited laptop for multimedia and common office tasks. The compact size and light weight of this Teclast offering make it a perfect travel companion. Given its price range, Teclast doesn’t give you much to complain about with the F7 Plus. 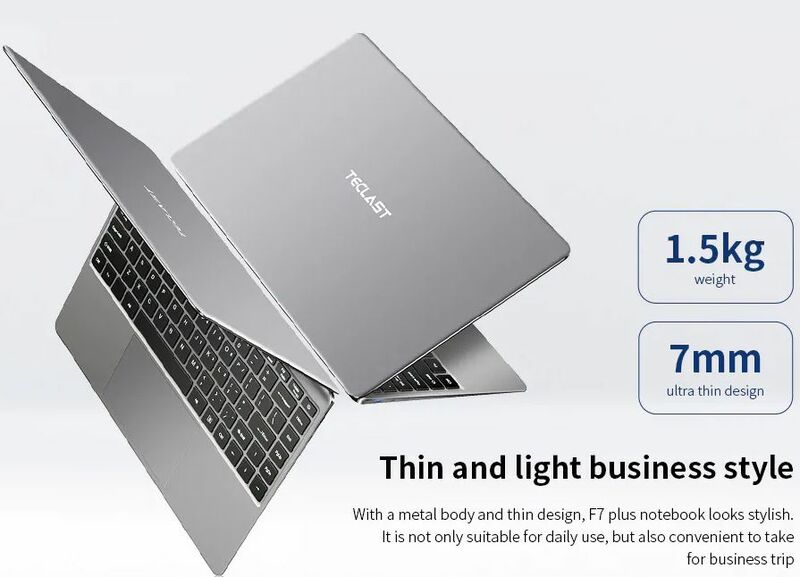 Where to Buy The Teclast F7 Plus Ultrabook is currently available on Gearbest as part of an ongoing flash sale.